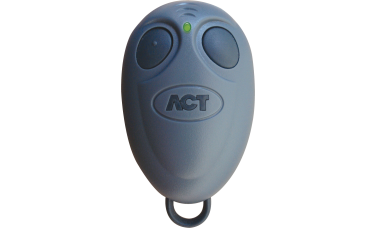 The ACT 433TX Radio Transmitter Fobs are for use with the ACT 433RX Long Range Receiver. 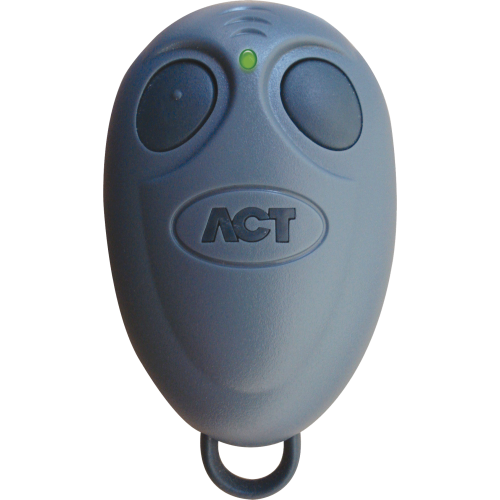 The ACT 433TX is a radio transmitter fob only, whereas the ACT 433TXprox is also a Proximity Fob for use with ACTsmart2 and ACTpro Readers. These two channel battery operated devices use two CR2032 batteries per fob, and offer a range of up to 50m depending on the site where they are being used.